Chennaiyin FC and Delhi Dynamos FC played out a scintillating 2-2 draw at the Jawaharlal Nehru Stadium, Chennai, on Tuesday in a match that produced some stunning goals. Chennai got off to an excellent start with Bruno Pelissari and Jeje Lalpekhlua putting them comfortably ahead in the first session. 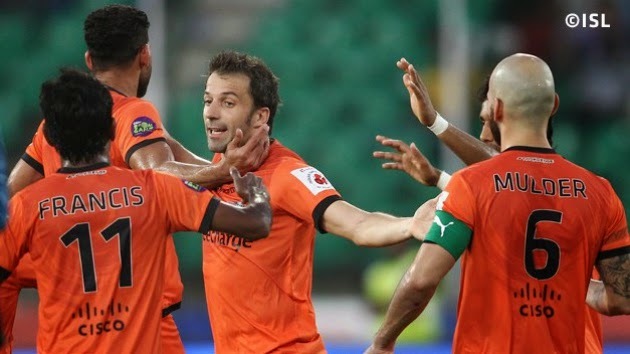 Delhi hit back in the second period through Alessandro Del Piero’s excellent free-kick and Hans Mulder’s drive from outside the area.